The Ulster Farmers' Union (UFU) has hit back at criticism over its support of the draft agreement reached on the UK's withdrawal from the European Union. Responding to criticism from TUV leader Jim Allister, UFU president Ivor Ferguson said: "As with any large industry, there are wide ranging views within our membership. "During the EU referendum, the UFU didn’t take an official position but following the result we got down to the business trying to secure the best Brexit deal for agriculture. As always, our focus is securing the best future possible for our family-run farms in Northern Ireland. "We are a democratic organisation and we represent around 11,500 family farms. It is unrealistic to expect that all our members will agree 100 per cent on everything, all of the time. "The UFU has argued that a ‘no deal’ Brexit would have a devastating impact on farmers in Northern Ireland. This has been supported by a number of independent reports from AFBI, LMC, and more. "‘No deal’ has been considered extensively within the UFU’s internal committee structure and has consistently been found to be the worst of all possible options. The position was confirmed again at our Executive meeting in October." “Also, we have always called for a solution that allowed NI farmers unfettered access to the GB market, while at the same time allowing the long-standing trading relationship between NI and ROI to continue." 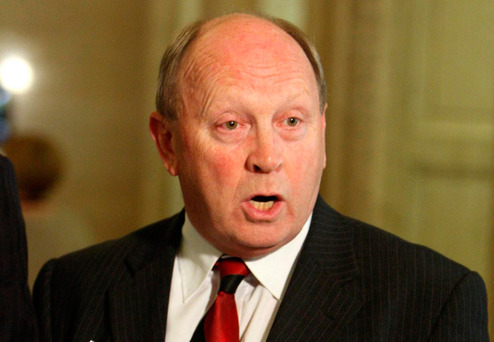 TUV leader Jim Allister has said he is "greatly disappointed" at the UFU's backing of the Brexit withdrawal agreement. The UFU, which represents farmers across Northern Ireland, earlier warned that a no-deal Brexit would be "absolutely disastrous" for local farming and agri-food sector. However, TUV leader Jim Allister has expressed amazement in particular at the UFU's support for the agreement.